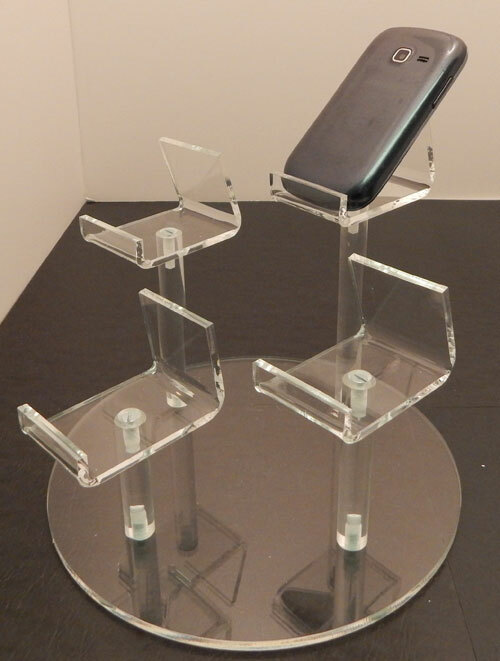 This is a grouping of 4 cell phone pedestals. 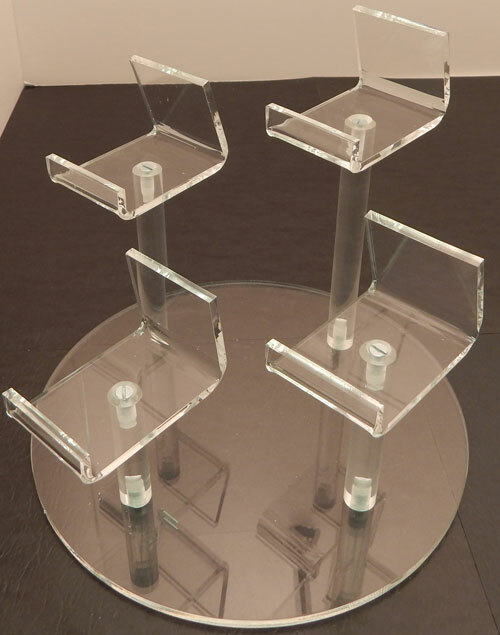 The simple design of this display allows it save counter space and provide functionality. 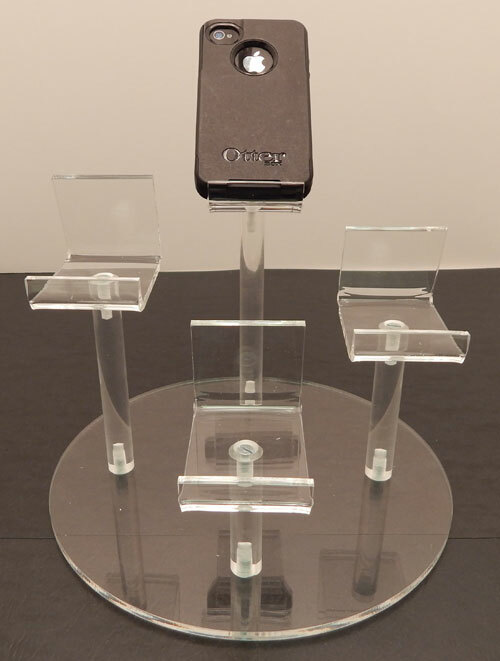 The grouped displays can be combine to create sections of products. 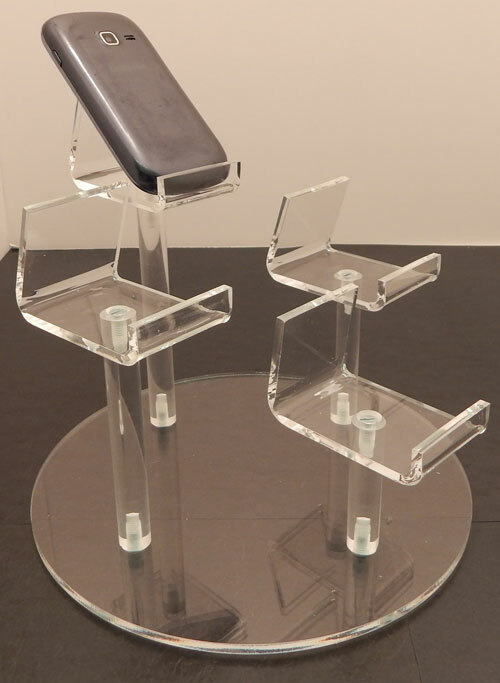 The clear acrylic construction blends into any environment with ease.